How do I sell my item on the web? Selling on the web is easy. 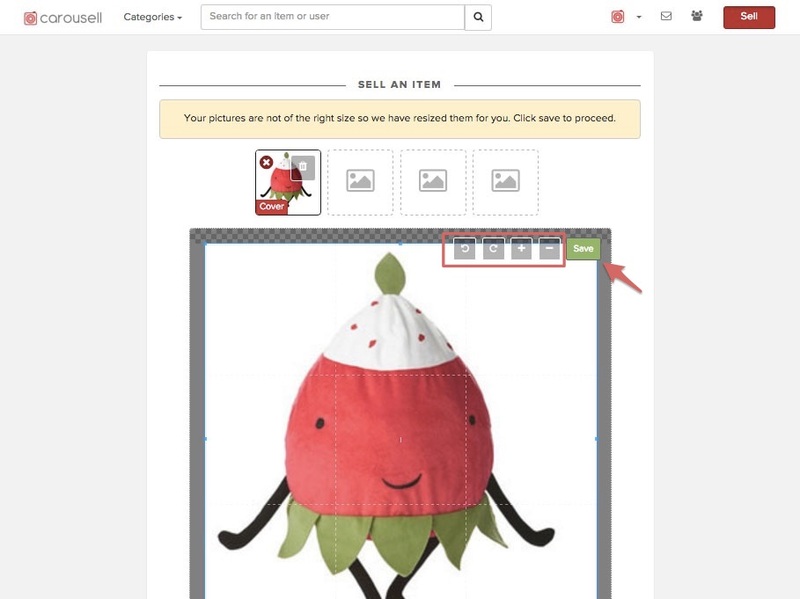 If you have your photos uploaded to your computer, you can easily create new listings on the website too! 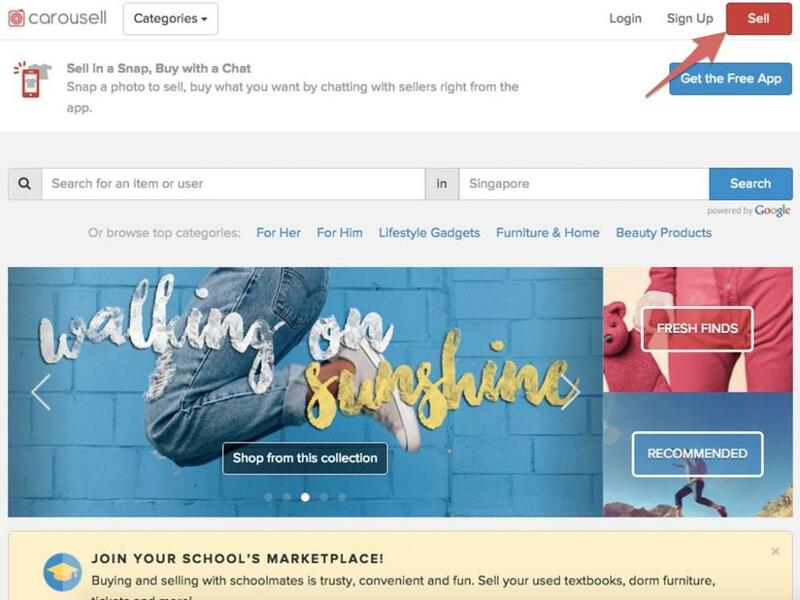 If this is your first time listing an item after signing up for Carousell, do remember to check your registered email address and verify your email before proceeding. Only verified accounts are able to list items for sale on the marketplace. Go to www.carousell.com and click on the big red button “Sell”. 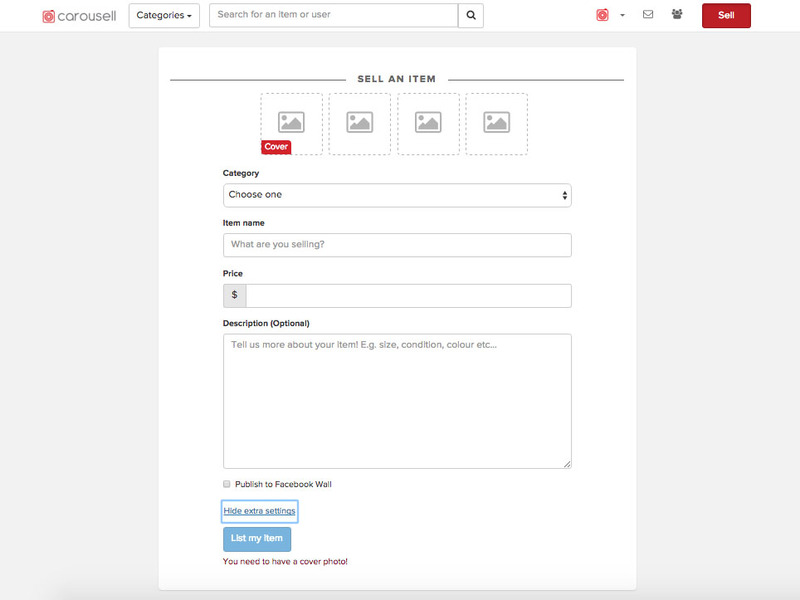 Fill up all the fields on the form, and remember to upload a nice photo of the item you are selling. If your photo is too large, you will be prompted to resize it. Make use of the “+” and “-“ buttons to adjust the photo to your liking. Remember to save it once you are done. Only the final image will be saved so confirm that the photo is nice before hitting save! Listing photos are cropped to a square frame and you can upload up to 4 photos per listing. Next, choose a suitable category for the item to be listed in. Include a reasonable price and click on “Show more” to add in a nice complete description of the item. If you would like to increase the chances of your item being sold, do feel free to share your listing on Facebook! Choose the option to “Publish to Facebook Wall”. Click on “List my item” and your listing would be found on the marketplace!